Hey everyone! We are totally stoked to announce a new tour for SALVAGE by Alexandra Duncan which releases on April 1, 2014. The tour runs for two weeks - March 24th-28th and March 31st- April 4th - and will have one stop per day. We are so unbelievably thrilled to be hosting this tour for Alexandra's book SALVAGE (Jaime read it already and loved it!) and we cannot wait for its release this April! 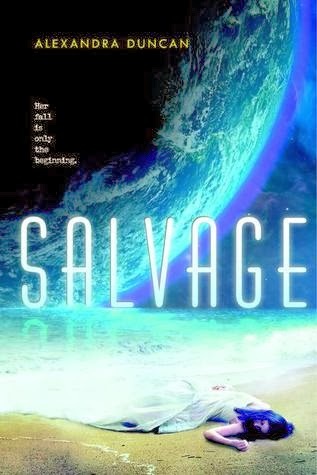 Has the schedule for the Salvage Tour been announced yet?